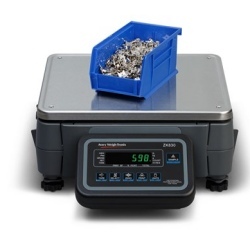 Avery Weigh-Tronix ZK830 is known as the most accurate counting scale on the market. With its Quartzell transducer, the unique design of the ZK830 counting scales offers a sampling accuracy unrivaled by other cell technology on the market today. 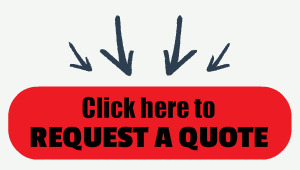 Quartzell technology allows a wider range of parts to be accurately counted – while still achieving an accuracy of more than 99.75%. With its Quartzell™ transducer, the unique design of the Avery Weigh-Tronix ZK830 high resolution counting scales offers a sampling accuracy unrivaled by other cell technology on the market today. Quartzell technology allows a wider range of parts to be accurately counted – while still achieving an accuracy of more than 99.75%. As industries move to reduce inventory and work closer to a just in time manufacturing process, component count accuracy becomes more critical to operations. The ZK830, available from authorized distributor Central Carolina Scale, can bring full control of stock quantity. Conventional analog loadcells cannot offer the same level of precision as the Quartzell. The ZK830 can also be set up as either a dedicated checkweigher or standalone bench balance. A base switching option helps to obtain the best possible accuracy with the ZK830, by allowing items to be sampled on a smaller capacity base, while batch counting takes place on a larger capacity base. Base switching can be selected manually, but for optimum speed, it can also be programmed to occur automatically. Created with the user in mind, the ZK830’s easy-to-use six key indicator has been designed to keep operator training to the minimum and to speed up the weighing process. Can my ZK830 indicator be removed from the base? And, if so, how far away can I use it from the BSQ base? Installing an easy-fit numeric keypad module to the side of the indicator boosts the ZK830’s functionality, giving the operator flexibility to select from up to 40 stored piece weights and tare weights, ideal for harder to count components or when using a second remote base. The ZK830 can also link with external PC controlled databases, using simple SMA commands to import and export data from other sources. Ideal for use when counting large quantities of the same part, to keep a running total. Designed to make repetitive counting faster and more efficient, this function gives an easily visible under, over or accept window to alert the operator when the required number of parts is reached. Ideal for most packing operations. Carrying handles allow the scale to be easily moved between different counting tasks. An optional clamp down plate can be used with a battery power pack to mount the ZK830 onto most mobile carts. What else can affect my part counting accuracy? › Component manufacturing tolerances: with a larger sample size, the better the chance of averaging out the difference in weight between components being sampled. › Operator error: this can easily happen when an operator accidentally counts the wrong amount onto the scale when sampling. The larger the sample size, the greater the risk of operator error. › Environmental conditions: if the counting scale is in a workplace with high vibrations or air interference from ventilation or an open door, it will be much more difficult to determine an accurate sample resulting in piece weight error. To help combat this, the scale can be relocated away from the interfering air vibration or a draft shield barrier around the scale can be used.